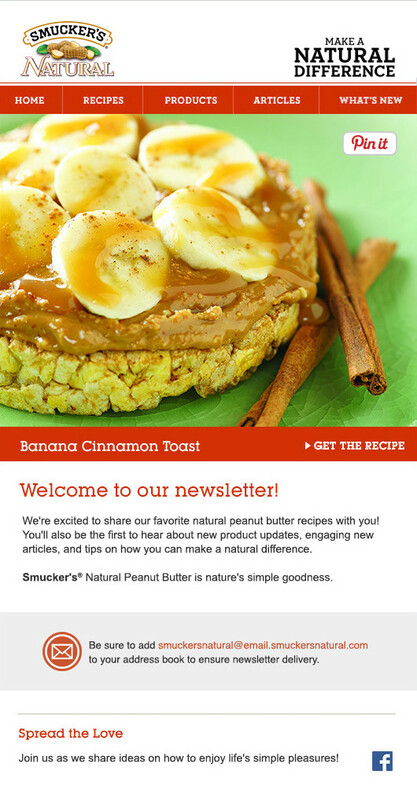 B2C Email Marketing Automation | AE Design Co.
How do you efficiently develop one optimized email template to use for 22 unique brands? 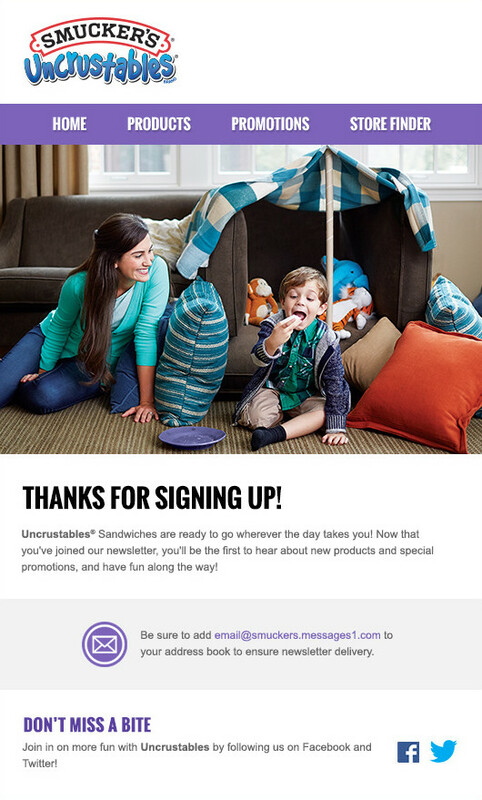 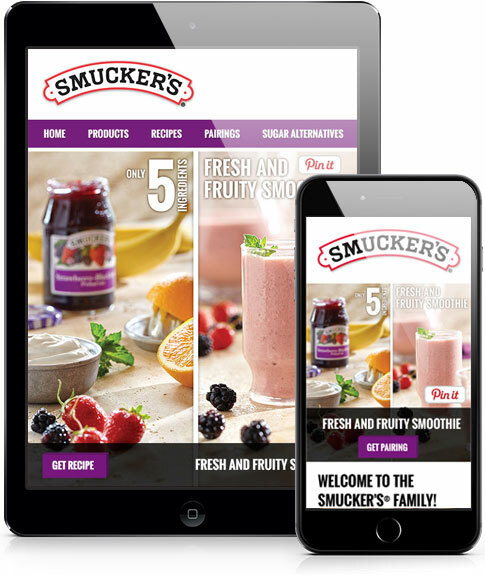 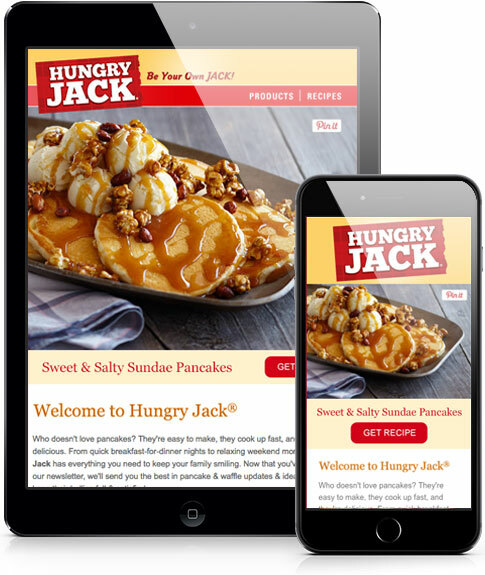 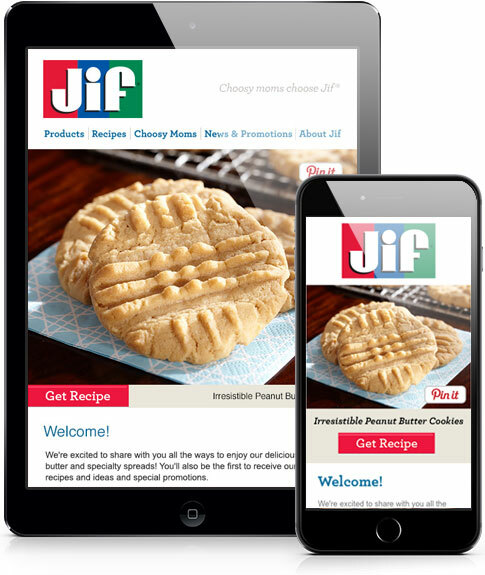 The JM Smucker Company was in need of a way to introduce their various brands and personally connect with their customers immediately after opting in to receive emails. 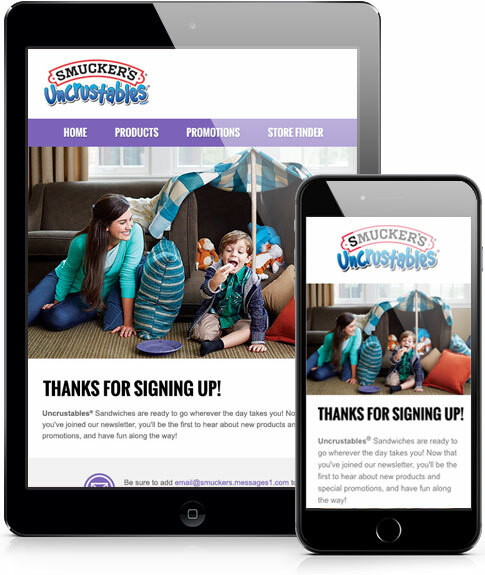 In partnership with Sprokets, a development and project management company, AE Design Co. designed and developed twenty-two welcome emails using email marketing automation to automatically send out "welcome emails" to each new subscriber. 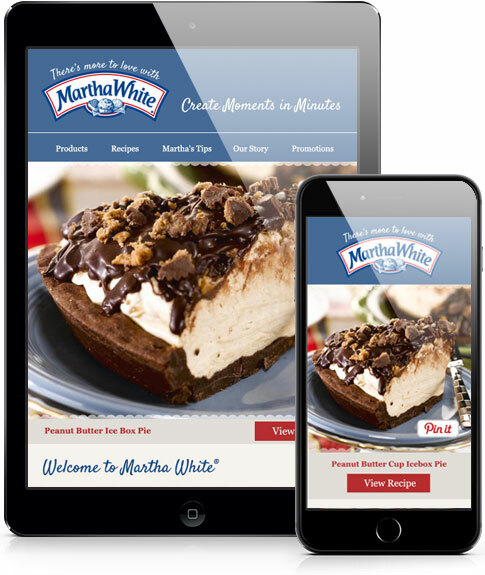 Wireframes were created to support copywriting and gain team approval prior to final design saving time on the project. 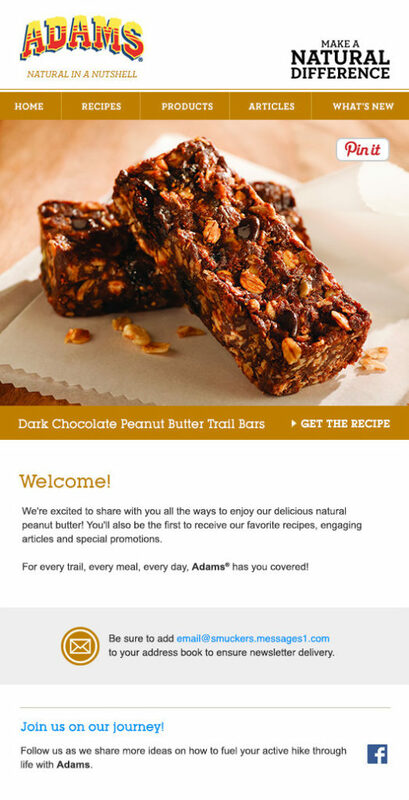 One template was created that could be repurposed for each unique brand identity. 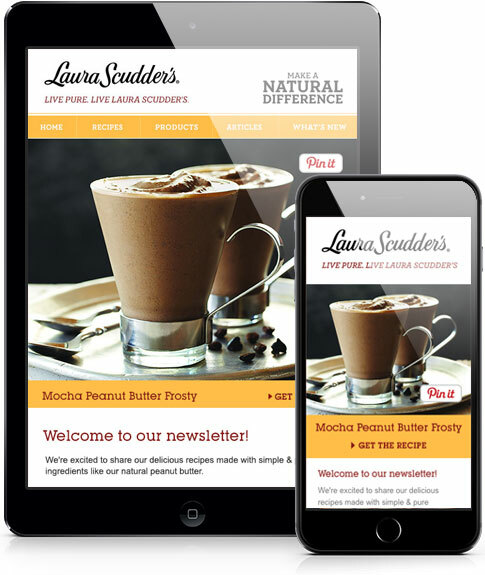 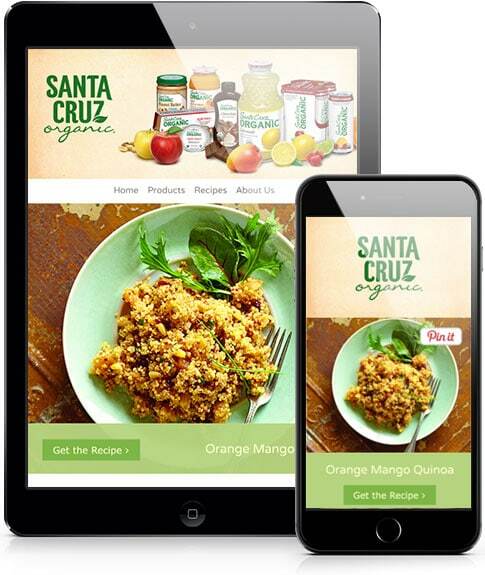 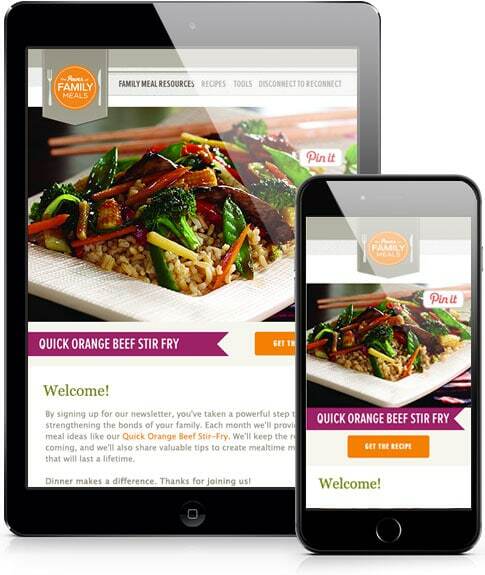 Both desktop and mobile layouts were coded, uploaded to Silverpop Behavioral Marketing Platform and tested in all major email clients and devices to ensure perfect rendering. 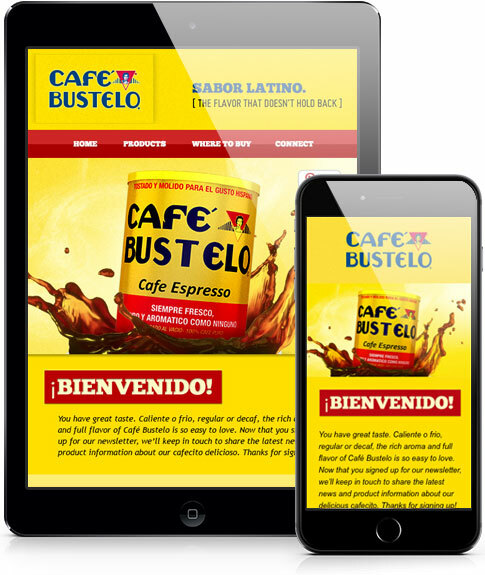 Retina ready images were used to make the design look crisp on high-resolution screens. 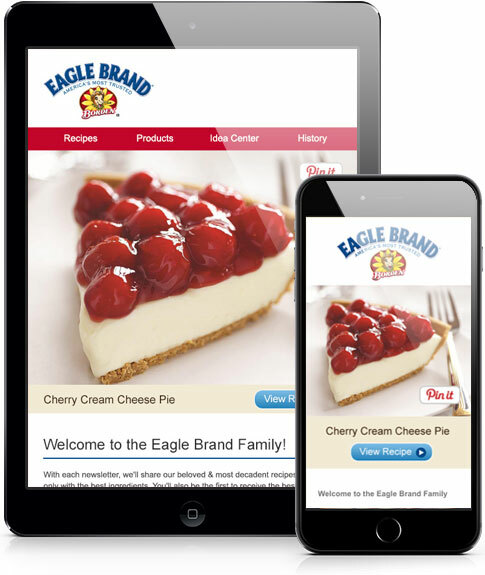 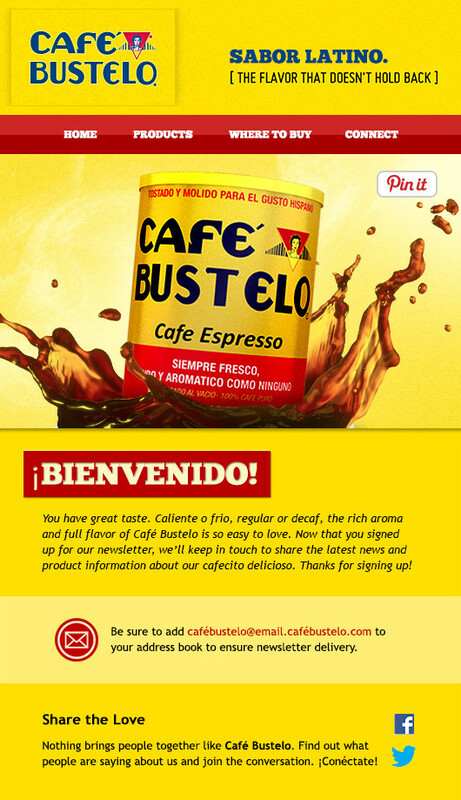 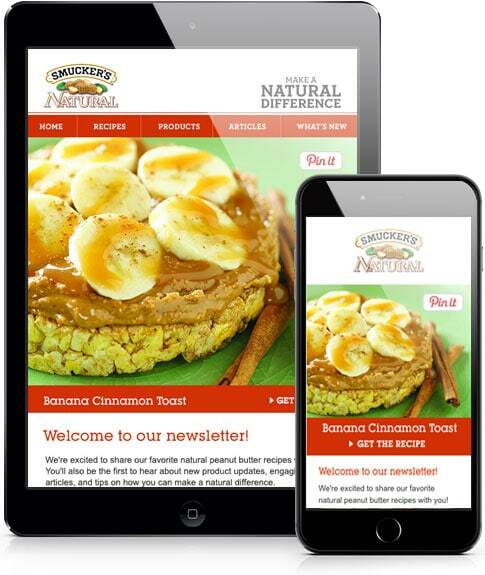 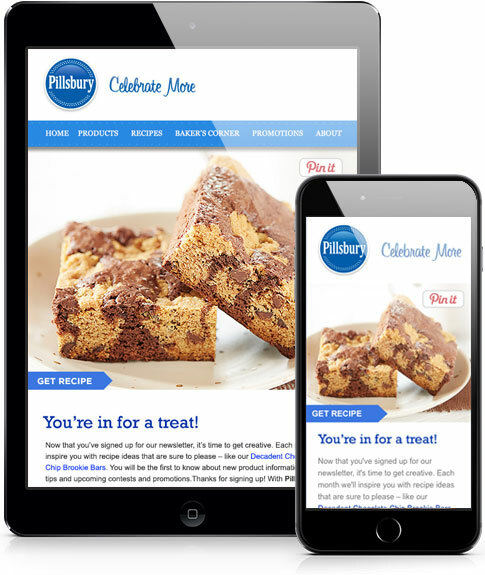 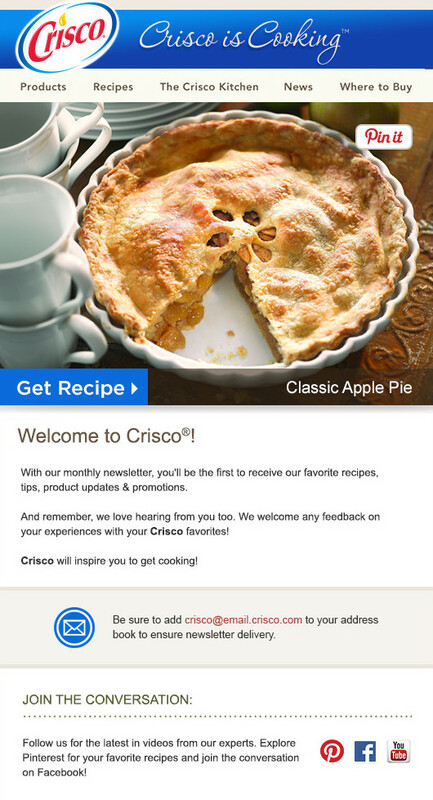 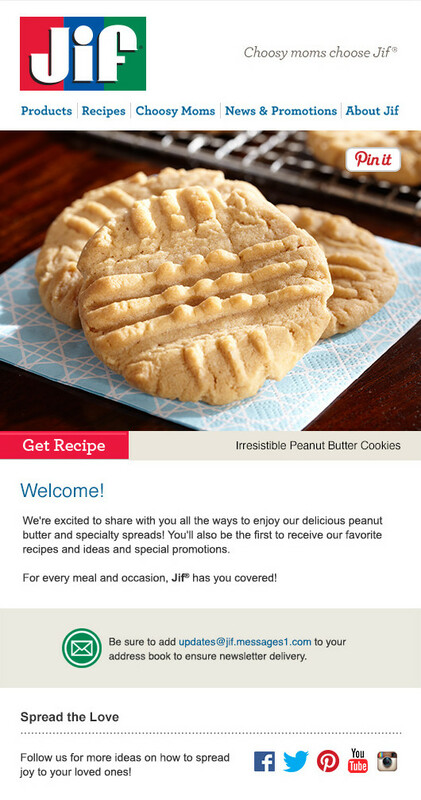 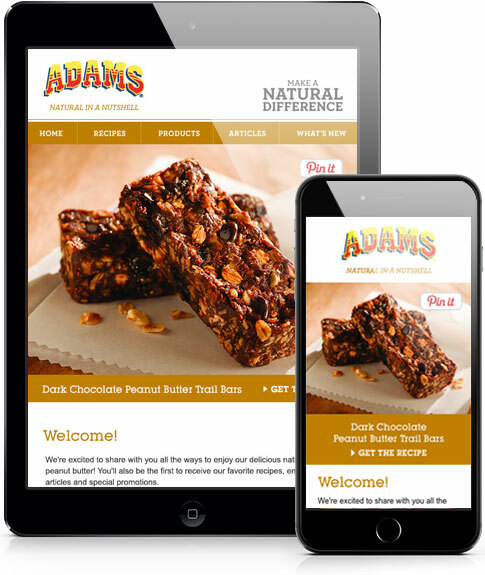 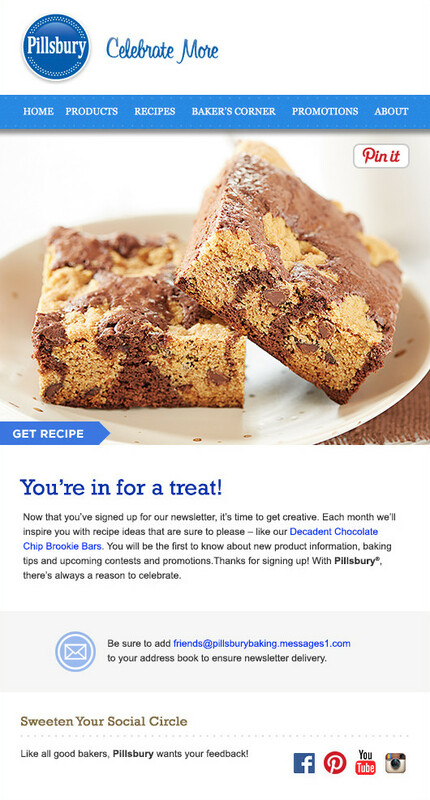 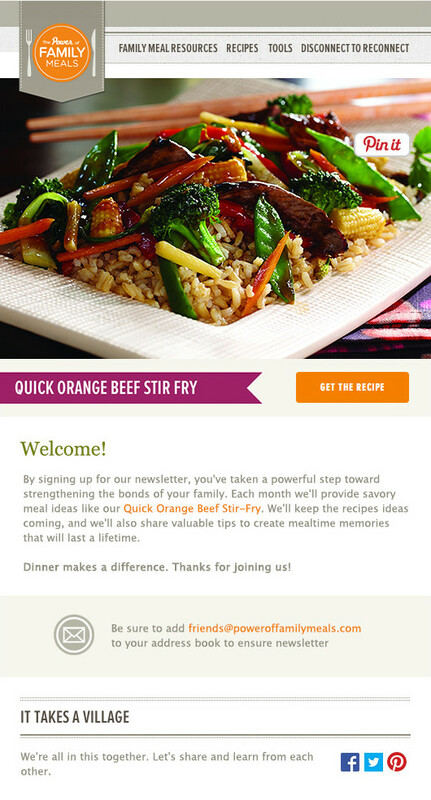 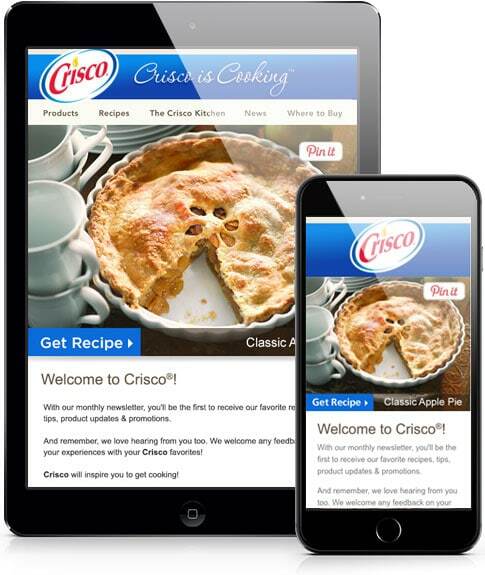 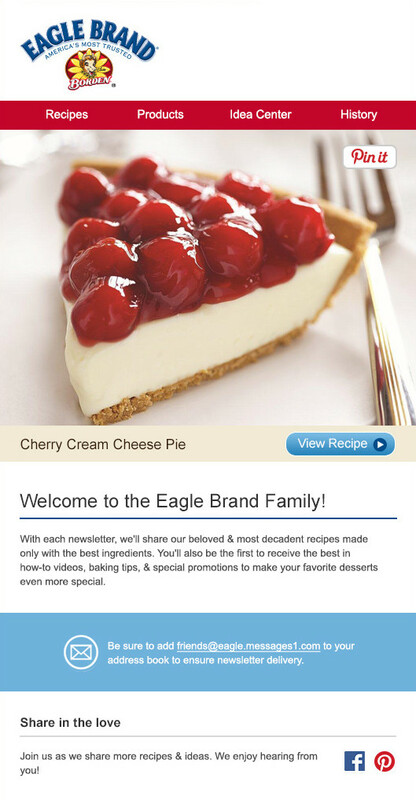 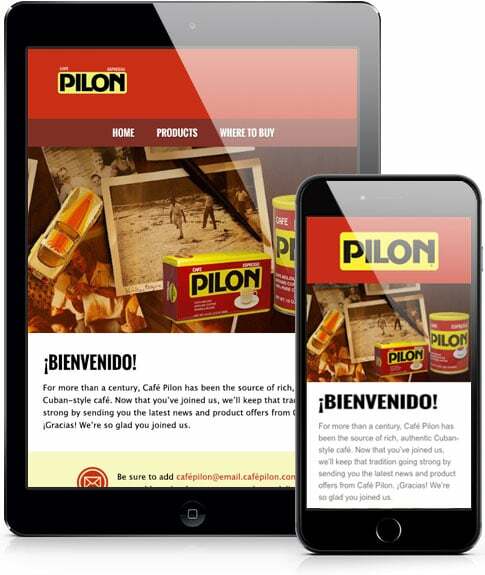 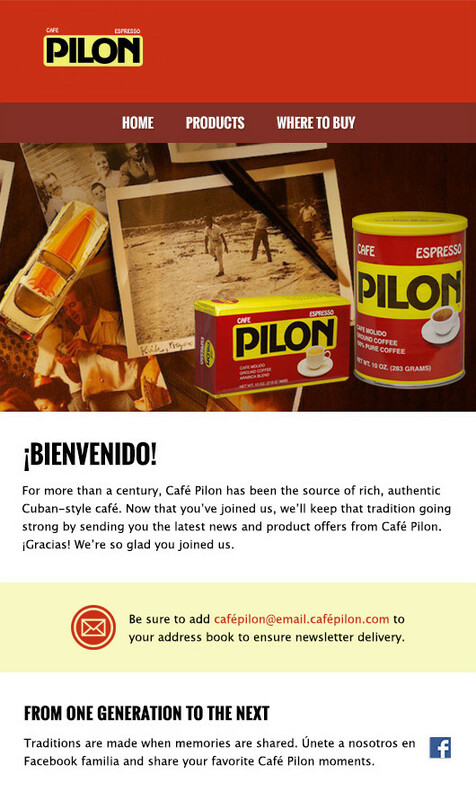 The emails effectively carried out each brand's message, offered the subscriber a free signature recipe and enticed them to stay connected with the brand by engaging with their social media accounts and sharing recipes on Pinterest. 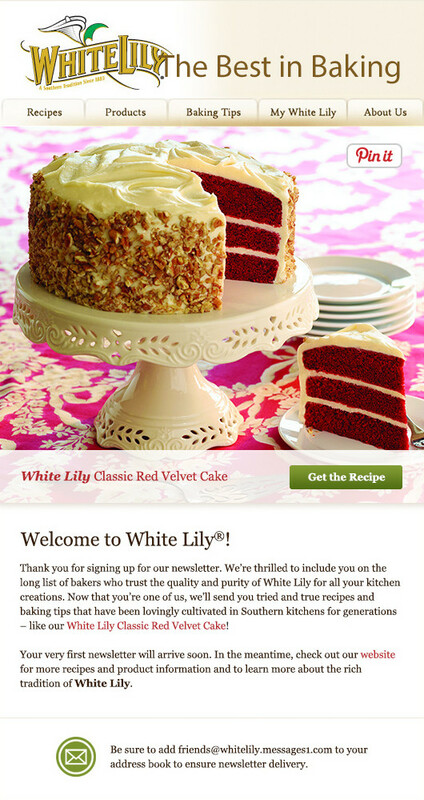 Plus, the design and content were chosen so the emails wouldn't require frequent updates (evergreen).